The news that Rian Johnson is staying in a galaxy far, far away after Star Wars: The Last Jedi is a surprise on a number of levels, and one that suggests that Lucasfilm is learning from mistakes made over the past couple of years. After all, there’s a lot that’s different in the announcement of Johnson’s new trilogy from what has been Lucasfilm’s process since the company was purchased by Disney some years ago. Lucasfilm took pains to point out this will not be part of the “Skywalker Saga,” so this isn’t Episodes X, XI and XII here. 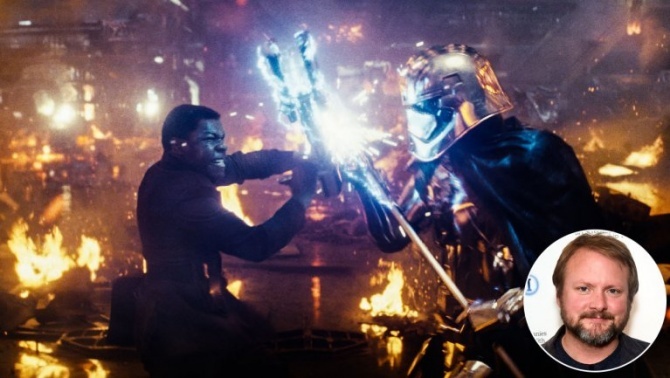 And while both Lucasfilm and Disney have made attempts to expand Star Wars outside of the “Skywalker Saga” movies with Rogue One and the upcoming young Han Solo movie Solo, neither of those have had the scope ambition of this new move, as they have been tied to existing characters and concepts… and yet, this new trilogy news is still likely to cause less anxiety amongst studio executives. The difference, at least as far as that last point goes, is that Johnson is a known quantity to Lucasfilm in terms of being a creative partner. Indeed, although the movie has yet to be released, even trailers teasing his work on The Last Jedi have prompted a level of excitement amongst fans and executives alike that rival that for J.J. Abrams’ The Force Awakens back in 2015. It’s not just that Johnson loves Star Wars, and has a particular affinity for the original movies — the same could be said for everyone the studio has partnered with since the franchise relaunch — but that Johnson has demonstrated quite how well he plays within the studio’s sandbox, and works with the various other entities involved in the maintenance and creation of the larger franchise.